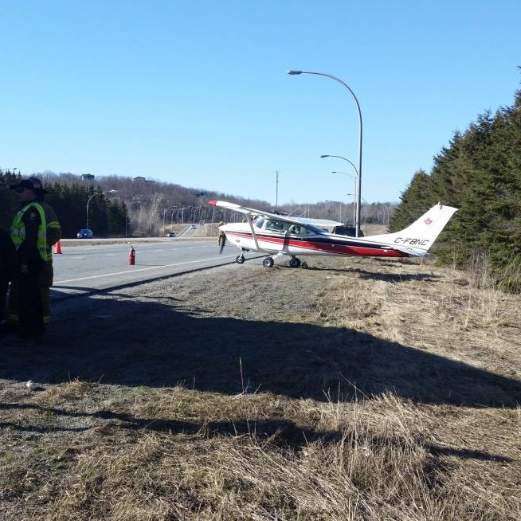 A small Cessna aircraft made an unscheduled landing on Highway 5 near Chelsea, Quebec on Sunday. (April 22). The pilot was not injured. The landing took place at around 4 p.m. on the northbound lane of the highway near Old Chelsea Road. Chelsea is located about 15 kilometers north of Ottawa. Police reported that no one was injured and the plane was not damaged.